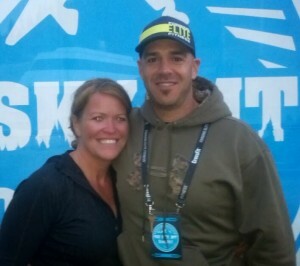 Jeff and Jennifer Lewis, Owners of Bitterroot CrossFit are both CrossFit Level one Certified and have also taken the Coaches Prep Course. Jeff and Jennifer both started CrossFitting in 2011, when at the time they were members of Montana TEAM BEEF and running the Hood to Coast race for two years along with 5k’s,10k’s half marathons,and a full marathon. They were getting bored with just running and decided to try CrossFit to see if it would help get them get pr’s on their races! After getting huge pr’s on their half marathon time in Missoula 2012 they were HOOKED! They still enjoy running and are still members of TEAM BEEF but Bitterroot CrossFit has become their passion! Jeff was born and raised here in the Bitterroot Valley on the family farm which Jeff and Jennifer currently own. He went to Corvallis High School where he participated in football, basketball and track. Jeff loves to hunt, fish and hike but is truly happiest when he is teaching a CrossFit class or working cows on his farm of 80 acres, that borders river bottom property on the beautiful , Bitterroot river. Jennifer Lewis was born in San Diego CA and moved to the Bitterroot when she was 9 months old. She went to Hamilton High School where she played softball and was Hamiltons first four letterman in that sport. She enjoyed 18 wonderful years being a stay at home mom to Jessica, Tieson , Madison and Olivia and now with all kids in school, has developed a new passion in helping people become healthy and fit while doing CrossFit. Along with running and competing in Crossfit competitions, she has also competed in five sprint triathlon’s and two Olympic size triathlons with hope to add an Ironman to her bucket list! In October of 2012 Jeff and Jennifer sold their dairy herd and wanting to ease the workload and spend more time with their kids they transitioned into becoming The 406 Ranch after purchasing their first Beef herd. Then in March of 2014 they decided to purchase Bitterroot CrossFit and haven’t looked back!! Ready to Join In With Us?